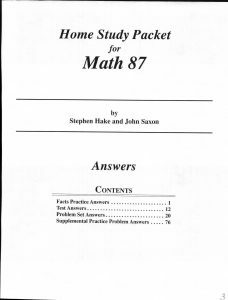 The first number in the title represents a loose grade level recommendation for average math students, while the second number represents an advanced grade level. 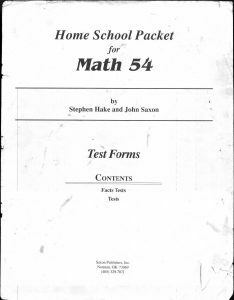 For example, Math 54 is loosely indicated for average 5th graders and advanced 4th graders. 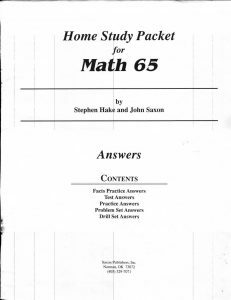 I am working on collecting and digitizing the Test booklets and Answer Keys as it has gotten very difficult to find them intact. The books are much easier to find. Some prefer the 2nd editions, or are only able to locate 2nd edition books, so I plan on including 1st & 2nd editions as I am able to locate them. 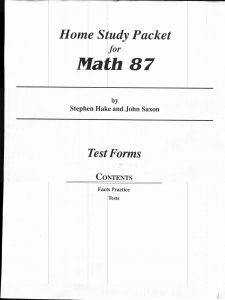 If you have a Home Study Packet Test Forms or Answer Key you would like to sell, please contact me using the form below. If you would like to volunteer your copy for me to scan and digitize for this project, please contact me below so we can make arrangements. 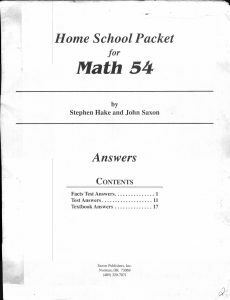 Recommend 1st editions for the 5/4 thru Advanced Math. 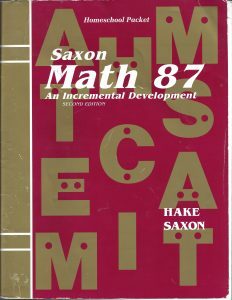 2nd ed for Calculus. 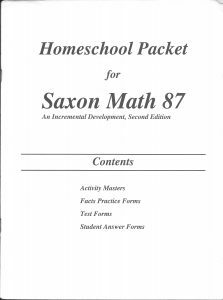 Contact me if you have an Answer Key or Test Packet you would like to Sell, Donate, or let me borrow, to add to this project.